6/1/13 Jewish Press- As Jews, we often stand angry and bewildered in the face of antisemitic lies, asking, “How can anyone possibly believe that about us? !” Today’s article by Alan Friedlander (Orthodox Jews Should Not March alongside the LGBT Sunday) leaves me with precisely such disbelief and sadness. 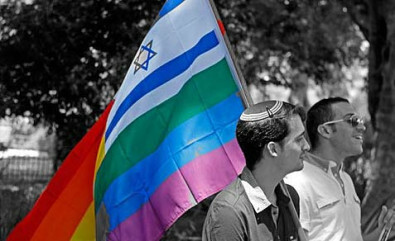 Looking beyond Celebrate Israel Day, Mr. Friedlander’s slander illustrates the hostility and misunderstanding about LGBT people that still reign in some corners of the Jewish world. However, many Orthodox Jews, like much of the world in general, are awakening to the reality that gay people exist in all communities—realizing that they already know and love many gay people, and that these gay people are good and loving friends, teachers, parents, and Jews. Many are coming to understand that homophobia, like antisemitism, is a destructive force fueled only by ignorance, and that it has no place in our holy community.